According to an Instagram post by insta_disneydust, Phantom Manor will be reopening on May 11, 2019. 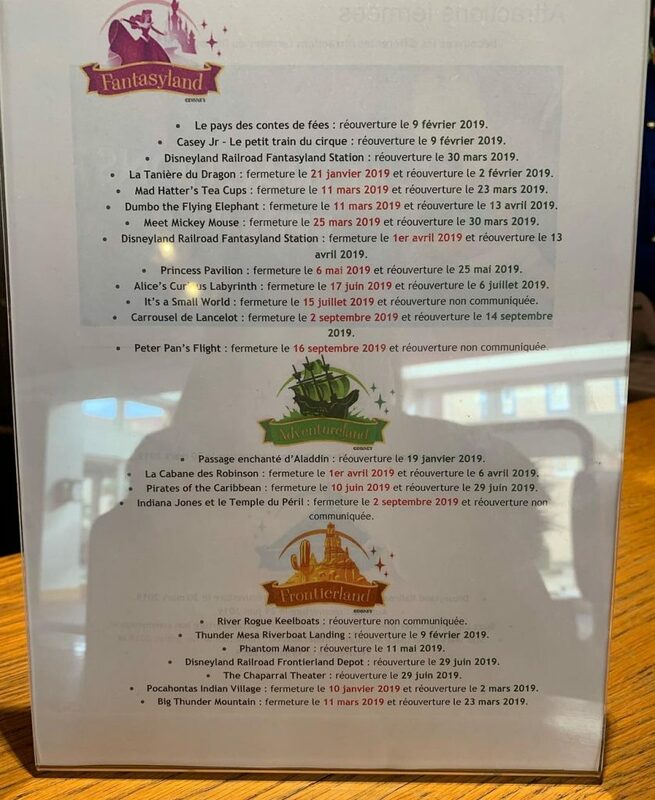 The post reportedly shows a list of 2019 refurbishment dates and we can see Phantom Manor listed at the bottom of the page. Phantom Manor has been closed for over a year now, and has seen delays in reopening in early 2019. The official website for Disneyland Paris has not been updated to reflect this date as of publish time. According to the latest information available on the website, Phantom Manor is only listed as closed for refurbishment through March. We’ll be sure to update this post with any official information as it becomes available. Your article says its closed through March but the picture says it closed through May (Mai in french).